I’d also stick in monthly meet-ups and one-time events too, but as far as I can tell, there are too many to count (and growing!) To compromise, though, let me recommend the extensive listing, updated frequently, on The Airship Ambassador and additional news from The Steampunk Tribune. Seems like Steampunk is here to stay! 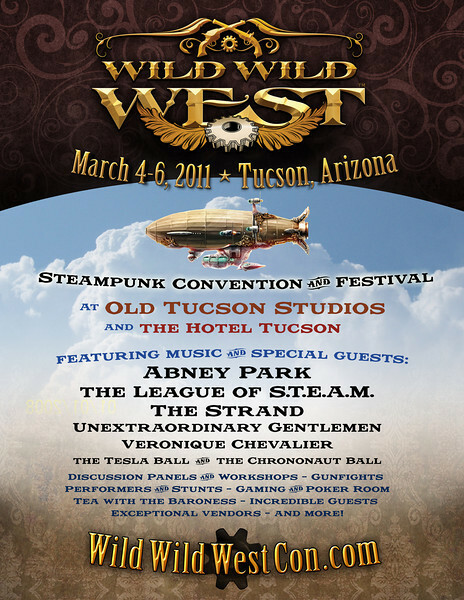 Not sure what exactly Steampunk is, or want to learn a little more? Check out the Lytherus intro to Steampunk.